Tokyo (東京) is Japan's capital and is the most densely populated metropolitan area in Japan. Tokyo is actually a prefecture called Tokyo-to (東京都) with special powers over the 23 special wards (municipalities) in its eastern half around Tokyo Bay. The special wards that make up the de-facto Tokyo City, Tama (western half) and two island chains are governed by the Tokyo Metropolitan Government in Shinjuku Ward. Tokyo is part of world's most populous metropolitan area with over 35 million people. More than two thirds of Tokyo's population lives in the 23 special wards. This area is dependent on rail transportation because of its high population density. This reliance isn't a hardship to Tokyo with an efficient rail system of over 100 lines. The mobility it creates allows for the free flow of trends that shape Tokyo's distinct districts. Akihabara is an area north-east of central Tokyo that is most famous for its electronics stores. Recently, major redevelopment and the emergence of stores catering to otaku has altered the ambiance of Akihabara. The area's name is sometimes shortened to "Akiba". Asakusa is 10 minutes east of Ueno on the subway and beside the Sumida River. Since the Edo era, the river banks in Asakusa have been a famous place to view cherry blossoms in the spring. Asakusa was part of the old downtown district of Tokyo called Shitamachi and was a pleasure district for most of the 1900s. Top fashion and cosmetic boutiques are now clustered in many places in Tokyo but the history of Ginza makes shopping here especially alluring. Shibuya emerged as a major fashion district for youth during the 1980s and it has remained so ever since. The ward is 3rd most popular in Japan for software companies and has the 2nd most used train station in Tokyo. It is often said that Shibuya has one of the world's busiest pedestrian crossing. Shinagawa has a number of attractions and historic sights but is mainly a business district. It is a popular place to stay because of its proximity to Haneda Airport and to other major districts of Tokyo. A number of high class hotels are located around the station. Odaiba is one of the most popular destinations in Tokyo for Japanese people. Besides its shopping and other attractions, Odaiba's wide open spaces and location in Tokyo Bay also makes it one of the most scenic and relaxing recreation areas in Tokyo. Ueno is a short distance north east of central Tokyo in the Taito City. 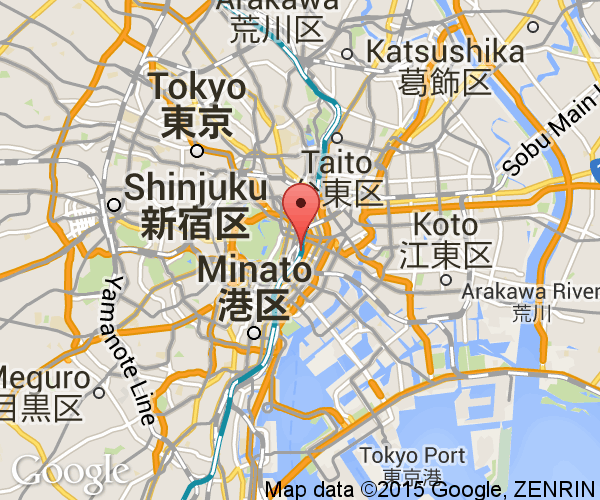 Zeno Park (and Ueno Zoo) are located beside Ueno Station. Ueno hill (now Ueno Park) was where the Tokugawa Shogunate in 1868 made their last stand against the new Meiji government. The Ghibli Museum in Mitaka City is a one of a kind museum about animation. It was created around the stories and the characters Studio Ghibli animators and directors have created. The Hama-rikyu Gardens are one of two surviving feudal era Japanese gardens in Tokyo today. It is just over a 10 minute walk from JR Shimbashi Station which is two stops south of Tokyo Station. Kasairinkai Park is Tokyo's best oceanside park. It provides Tokyo with some much needed open space near the water. Tokyo Sea Life Park and the tallest ferris wheel in Tokyo are located in the park. Koishikawa Korakuen is the oldest surviving Japanese Diayamo garden in Tokyo and is typical of the stroll gardens of the Edo Period. It was first laid out by Yorifusa Mito in 1629 and later completed by his successor Mitsukuni Mito. The Kyu-Furukawa Gardens' early western residence, rose garden and Japanese garden blends together in harmony. All three have their separate charms that will attract people to here for different reasons. This garden is especially popular in May and October. The gardens are one of only two that remain from the feudal era. This garden was originally part of a larger samurai estate that eventually was bought by the Imperial household and then donated to the city. Rikugien is a large Japanese garden that was built in the 1702 by Yanagisawa Yoshiyasu for the Shogun, Tokugawa Tsunayoshi. The name pays tribute to the Chinese system of dividing poetry into six categories. Famous waka poems were the source of much of the design of the garden's landscapes and features. Shinagawa Aqua Stadium is located at the Shinagawa Prince Hotel in front of Shinagawa Station. Its centerpiece is a large circular arena where dolphins, their trainers and performers put on aquatic shows. Shinagawa Aquarium is one of the three full featured aquariums in the Tokyo area. The aquarium was opened in October, 1991 and has since expanded by opening a penguin exhibit, shark tank and seal building. Tama Zoo is world renowned for thinking creatively about displaying animals. Its lion bus was the first of its kind in Japan and its new orangutan exhibit took took almost 2 years and around 1 billion yen to build. Tokyo Disneyland was the first Disney resort to be opened outside of America. Its design was based on the original in California and has been open for over 30 years now. Tokyo Disneyland places regularly as one of the top three most visited theme parks in the world. Tokyo DisneySea opened on September 4, 2001 and is the second park to be built at the Tokyo Disney Resort west of Toyko in Chiba Prefecture. Its oceanic theme separates it from its sister park. It quickly become one of the most visited theme parks in the world. The Tokyo Metropolitan Government's No. 1 building in Shinjuku is the tallest building in Tokyo at 243 meters. The twin towers both have free observatory floors at 202 meters. The north tower is open till 23:00. Tokyo Sea Life Park is part of Kasai Rinkai Park. It showcases a diverse number of locations in a clear and consistent way and delivers a strong message about the necessity for ocean conservation. Tokyo Tower was built to celebrate Japan's booming economy in the 1950s. It is modeled after the Eiffel Tower but is 9 meters taller (333 meters) and much lighter. It is one of the most visited tourist attractions in Tokyo. Yume no Shima (Dream Island) is a large recreation park north of JR Shinkiba Station to the east of central Tokyo. The Yume no Shima Tropical Greenhouse Dome is a surprisingly cheap Tokyo attraction, but, still offers plenty to see. Narita-san Shinsho-ji is located in central Narita City, Chiba Prefecture. This Shingon Buddhist temple complex was founded in 940 during the mid Heian period. It is conveniently located very close to Narita Airport to the north of Tokyo. My travelogue from my frist trip to actually visit Tokyo. Conclusion: Tokyo is more than just neon lights. It's even green in places! The Tokyo Game Show is a yearly trade convention and gaming expo held currently just east of metropolitan Tokyo at the Makuhari Messe in Chiba. It is the largest public gaming convention in the world. Tokyo is a year-round destination. Its many cultural attractions are open rain or shine. Those looking to visit Tokyo's theme parks should avoid major holidays and summer vacation. The area becomes incredibly humid from mid to late summer. Rainfall surges in June, September and October. Tokyo is cool enough in the winter to occasionally experience a light snowfall that quickly melts.